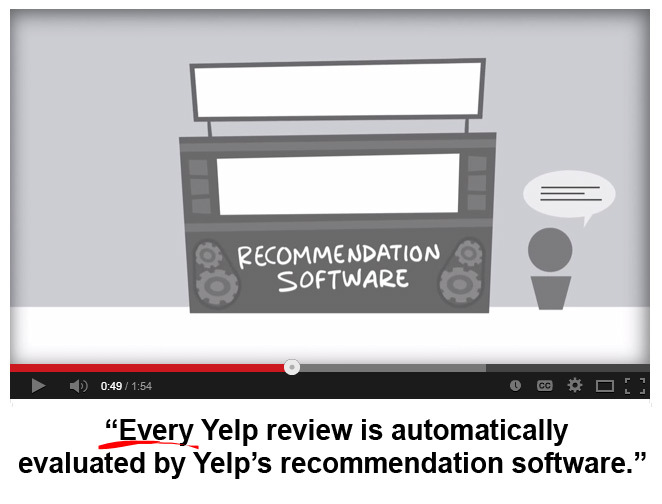 Yelp Changes, sorts “Not Recommended” reviews from Low to High. 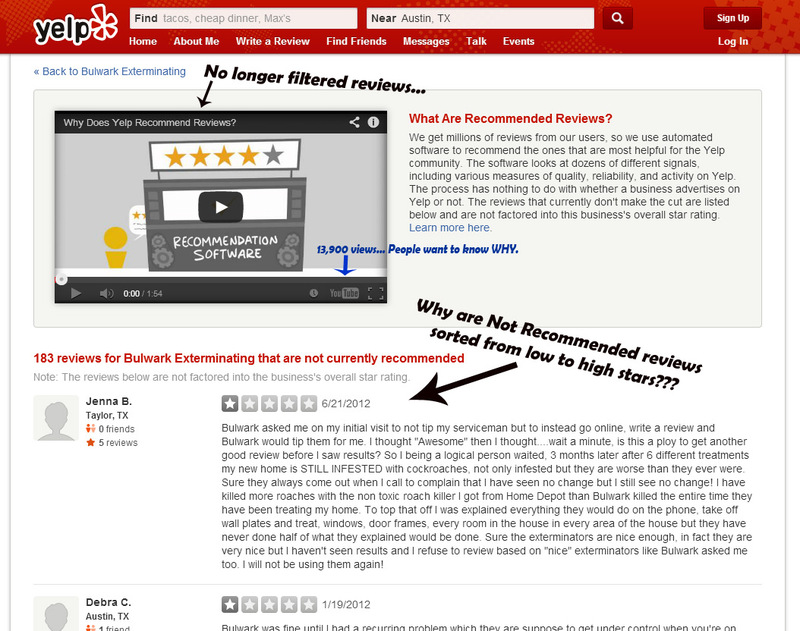 This past week yelp changed a few things, they no longer filer reviews! But before you get too excited, they now “Recommend” and “Highlight” reviews, while they have other “reviews currently not recommended.” But.. You can NOW click through to this reviews that are not currently recommended, without having to enter a captcha! Wait there’s more, the “NOT RECOMMENDED” reviews are now sorted from low to high stars… AND they have a new video!!! 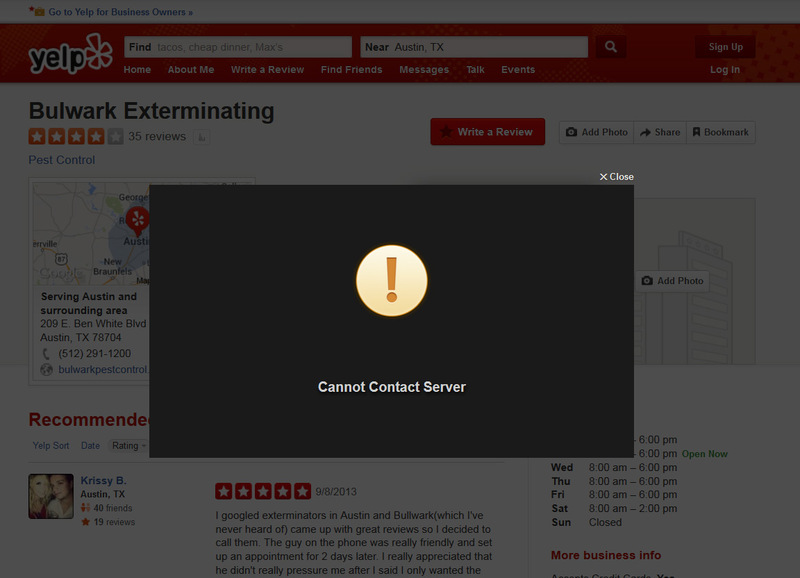 Apparently I was one of the lucky 1% to see Yelp’s new layout. But I did find a way for you to see it yourself… CLICK HERE! 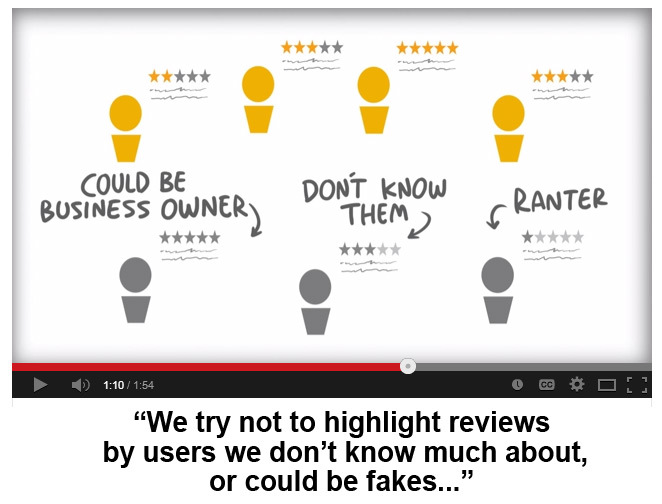 They have also eliminated a few options, like bookmarking and linking to a review. They moved the compliments, messages, and follows to the left and only visible upon scrolling over them. @Thos003 No. It’s in the right hands at user ops though. 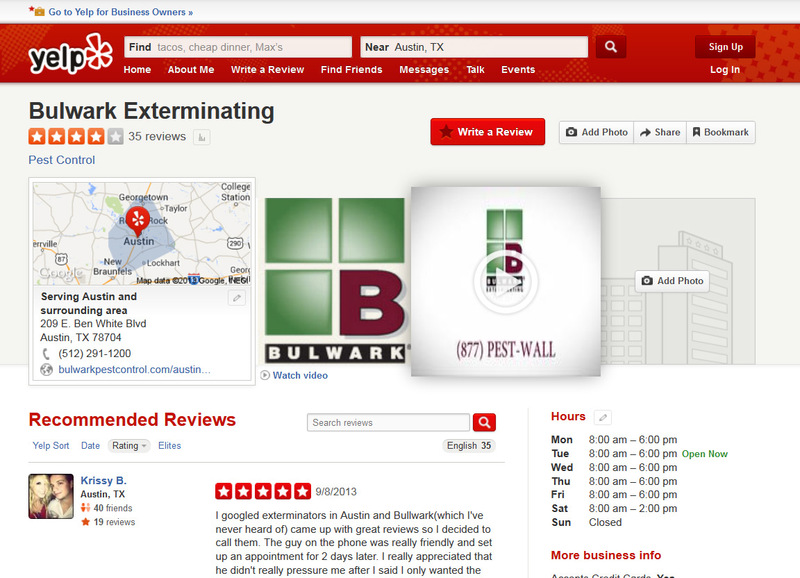 If anyone wants the details on the fake review network that yelp isn’t doing anything about, ping me. I’ve got a pretty little spreadsheet I can share with you. 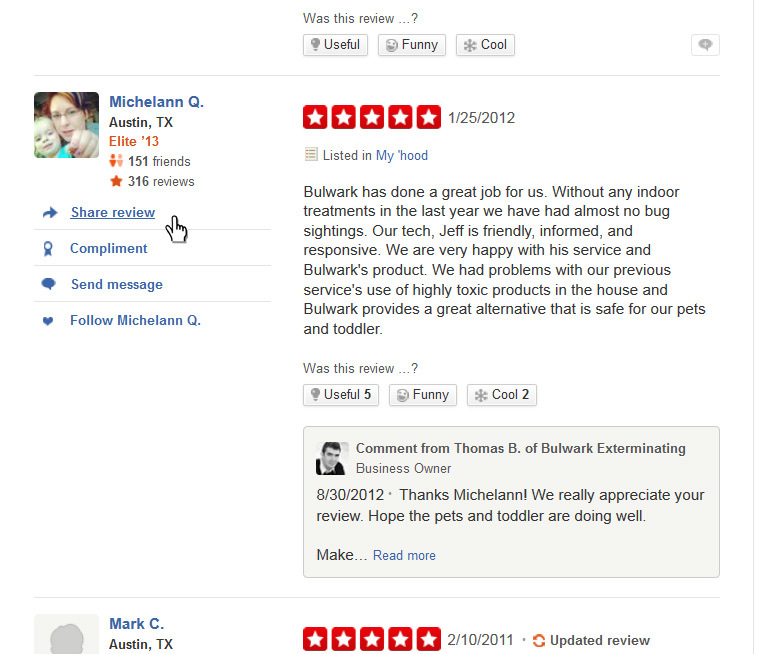 This entry was posted in Pest Control by ThomasBallantyne. Bookmark the permalink.